Sets are 1 hour long. Dean Tsur Saxophone Choir gets the crowd dancing with its joyful, entertaining, and romantic music. 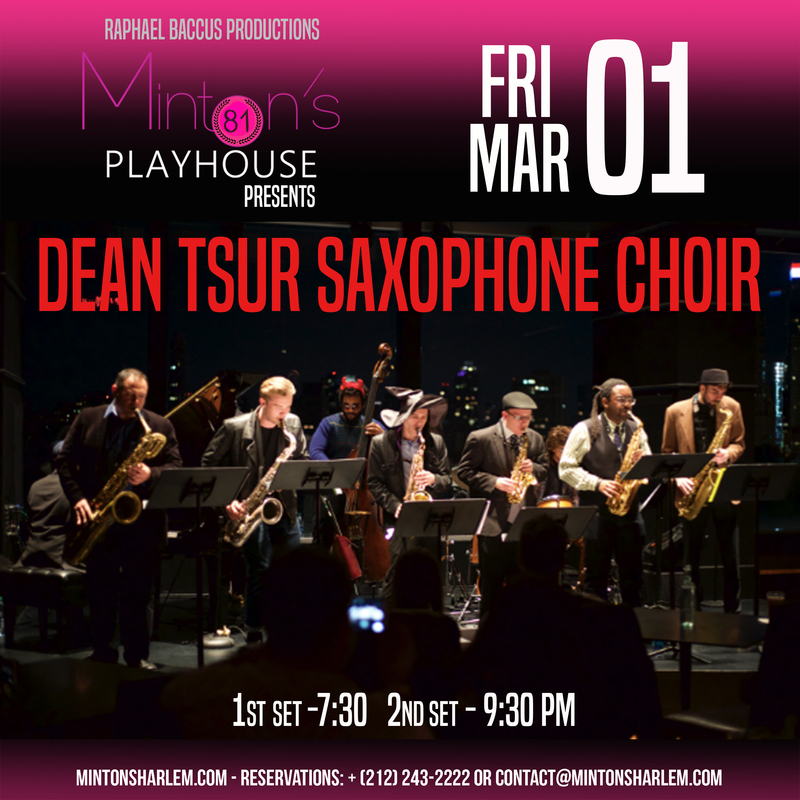 With a unique combination of six saxophones and a rhythm section, the band has created a fresh and inventive sound, inspired by the joyful spirit of early jazz. The band doesn’t only bring to life rarely played music, but does so with a festive sense of community. The band features some of the most highly acclaimed and popular young musicians, including Grammy and Emmy Awards nominees. Our members have collectively performed with Jazz at Lincoln Center Orchestra with Wynton Marsalis, Harry Connick Jr., Branford Marsalis, and Jon Batiste from the Stephen Colbert Show.